Extends toxic gas coverage to application previously too challenging and costly to monitor. In January of 2017, the Miami Herald reported the death of three men overcome by toxic gas underground. In addition, recently H2S vapours were suspected in the deaths of three Colorado oil and gas workers, and two workers at a Texas wastewater treatment plant died from toxic gas. Because H2S is flammable and highly corrosive, it also threatens property. Hydrogen sulfide can be detected by fixed-point gas detectors using electrochemical sensors. This technology is well understood and reliable in the protection of people and property. Many of the sites where H2S accumulation is common and poses the most danger are remote, complex locations where the costs of installing wiring and conduit for power and communication can quickly add up to tens of thousands of dollars per point. The more remote the site, the more expensive the installation, which will limit the number of critical gas detectors placed in appropriate locations. Wiring costs for wired gas detectors can be greater than other measurement devices because the sensors are commonly separated from the transmitters to facilitate monitoring for gases that are either heavier or lighter than air. This adds to the total costs of wiring, conduit, and junction boxes. Running power and communications wire and conduit, digging wire trenches, installing cable trays, and physically wiring each sensor and transmitter are labor-intensive tasks. Since gas monitors are typically installed in hazardous locations, the extra labor required for detector installation, commissioning, and maintenance can be a serious safety concern for operators. Often, the remoteness of these locations exacerbates all of these problems and adds significantly to lost uptime and personnel costs. Even if costly wired installation is accomplished, the time required to service and calibrate many traditional sensors can add significant personnel time in hazardous areas. In addition, once fixed gas detectors are installed, it is difficult and costly to move them if the conditions warrant a change. As a result, remote locations may be left unmonitored for toxic H2S. Personnel visiting these sites are only protected by portable or personal toxic gas sensors. Thus, service personnel are forced to enter potentially toxic situations without advanced warning, which is not an optimal solution. In addition, “running blind” can lead to costly wasted trips to the field where personnel must abandon work once gas is detected via personal monitors. Hydrogen sulfide is a major hazard encountered at remote oil and gas sites. Leaks in drilling, well-head, and storage applications can see large quantities of H2S released, which becomes extremely hazardous to personnel. 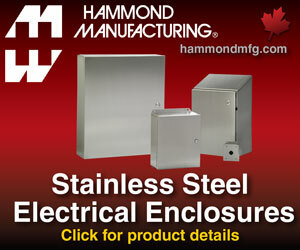 Areas susceptible to leaks include drilling stands, blow-out preventers, shale shakers, well-heads, and storage tanks. Continuous monitoring of storage tanks for leaks and fugitive emissions is a must for the safety of personnel and equipment and is mandatory in most countries. Crude oil storage farms require the monitoring of H2S close to pipes and valves around low points where gas may gather, such as sumps and pump pits. Wireless gas monitors make use of conventional electrochemical cell sensors. This technology is used in a majority of the wired toxic gas sensors in the market today. It is reliable and accurate. Installation and commissioning costs are substantially lower than wired monitors. Efficient sensor calibration and easy, lower cost replacement decrease overall lifecycle costs for wireless monitors. One of the benefits of wireless communication is that basic configuration can be accomplished remotely through the Gateway via asset management software. Local configuration can still be accomplished using handheld field communicators. Either arrangement allows for configuration in the field without the need to remove the device to a non-hazardous area. Monitoring H2S at challenging locations using a wireless toxic gas monitoring system provides users with the fundamental advantages of wireless technology – and a great deal more. It greatly reduces the costs and increases the speed to install and commission conventional detection devices. It allows users to place sensors where they want and need them, and to implement new applications in remote locations with total flexibility. Managers know that they can trust the operations and security of their sites to WirelessHART, the most widely accepted wireless protocol in the world. A wireless gas monitor benefits from all of the strengths inherent to the WirelessHART standard including system reliability, security, and effective power management. WirelessHART also enables the user to benefit from the flexibility of mesh networks and configurable update rates. To back up the strength of WirelessHART communication, users should look for a device with a clear, configurable LCD display with a screen that has multiple display modes from which to choose, depending on their requirements. This allows field operators to clearly understand the toxic gas threat in the area. It’s also beneficial for users to select a monitor that offers means to directly trigger external equipment. With this option, a customer can use the gas monitor to trigger external safety equipment such as beacons, alarms, or annunciators in the event of an alert. This feature has the potential to protect workers from entering areas where dangerous levels of toxic gas could pose an immediate threat to their safety. A wireless gas monitor can be used for general guidance by sending updates on gas concentration from Emerson once every hour with the LCD screen disabled to extend power module life. Or at the opposite end of the extreme, a manager may choose to use the device as a safety monitor – providing updates to the host system every two seconds, keeping the LCD display on constantly, and utilizing a discrete output option to trigger local alarms to protect workers. The less time users need to spend interacting with field devices, the better. Minimizing interaction time not only decreases costs for users, but it also improves safety since fewer personnel-hours need to be spent in hazardous areas. Ease of maintenance and stocking concerns should be considered when selecting a gas monitor. Some devices leverage lithium power modules that, depending on ambient conditions, network setup, and user-configured update rate, are capable of a four-year service life. Wireless gas monitors should meet the performance requirements that characterize the top quality wired toxic gas detectors. Gas detectors are compared with one another based on their ability to accurately and quickly detect the presence of gas. Users should select a gas monitor that uses industry-standard sensing technology and makes no sacrifices in terms of accuracy or speed of response. Electrochemical sensors have a finite service life. This life is dependent on ambient conditions, but it typically will last from one-and-a-half to two years in service. It’s best for managers to select a sensor that is contained within a replaceable, intrinsically safe module that can be removed and installed without tools, so there is no need to remove the device from the hazardous area. Some wireless gas monitors also have diagnostic capability that can communicate that the sensor is nearing the end of its useful life, helping users plan replacement operations efficiently. Due to the nature of the applications, the gas monitor and sensor will be exposed to harsh environments. To accommodate these challenges, it’s important that wireless gas monitors can operate over a wide temperature range and can withstand the ingress of dust and liquid. A wireless gas monitor should carry the North American, European, and global certifications necessary for installation in hazardous areas. 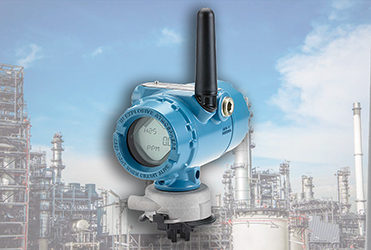 Users require a wireless gas monitoring solution that can handle harsh conditions. As such, these devices should have an ingress protection rating of IP66 and a temperature range of -40°C to 50°C. Wireless toxic gas monitors allow users to extend the protection of toxic gas monitoring to their most challenging applications. Today, many end users are forced to rely solely on personal or portable toxic gas monitoring solutions. 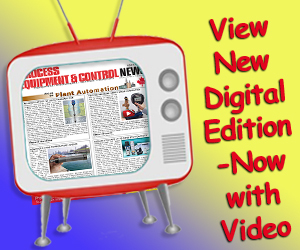 These devices are not intended to provide continuous coverage of a facility’s assets and they force plants to send personnel toward a potential hazard without knowledge about the concentration of toxic gas in the area. 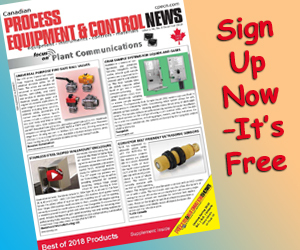 Products like the Rosemount 928 wireless gas monitor from Emerson Automation Solutions offer flexibility, efficiency, and cost effectiveness. Customers can easily install and adjust the location of wireless gas monitors as required without concern for the limitations of wired infrastructure. At the same time, the Rosemount 928 wireless gas monitor and Rosemount 628 toxic sensor module provide a level of performance, convenience, and reliability previously unattainable.